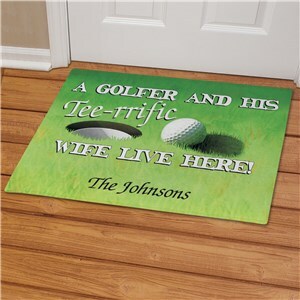 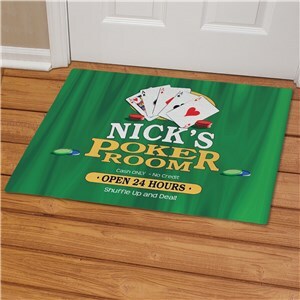 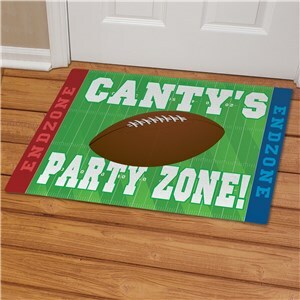 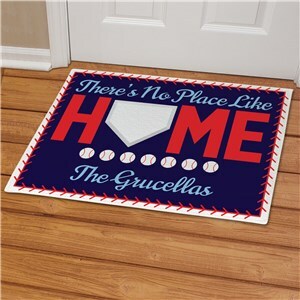 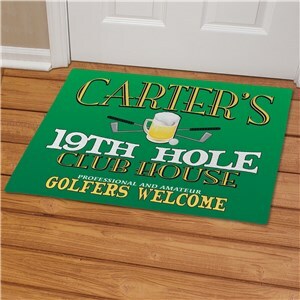 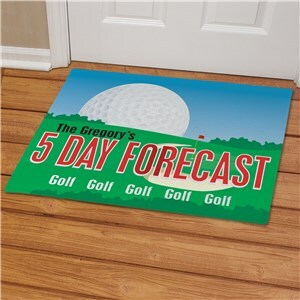 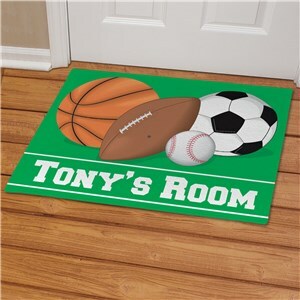 Get welcome doormats that show off your favorite sport, hobby or interests. 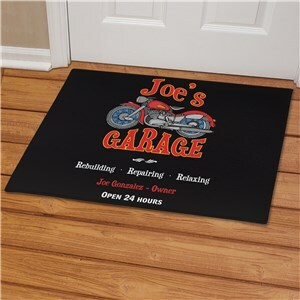 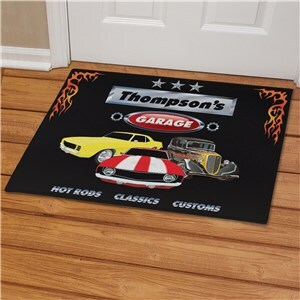 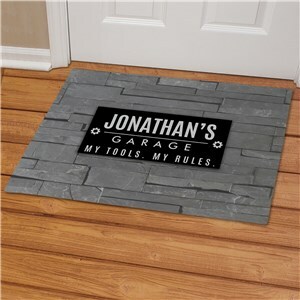 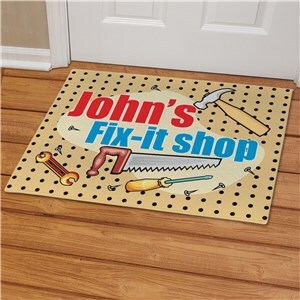 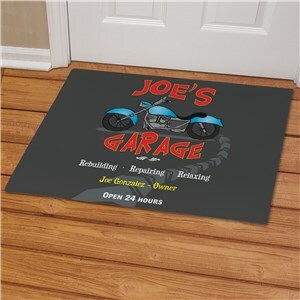 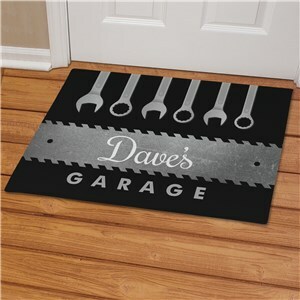 This style of personalized doormats make great additions to any guy's garage, man cave or, home gym or bedroom. 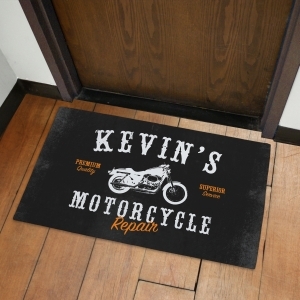 From a car loving hobby to the sport of Football, this collection of unique doormats are personalized gifts he's sure to enjoy. 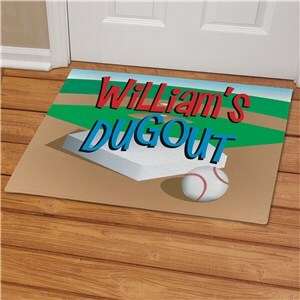 All doormats come with free personalization and are great for indoor or outdoor use.